﻿ Crowne Plaza Copenhagen Towers Copenhagen. JIMAT di Agoda.com! Direka untuk kedua-dua tujuan perniagaan dan percutian, Crowne Plaza Copenhagen Towers terletak di lokasi strategik di Lapangan Terbang Antarabangsa Copenhagen - Kastrup; salah satu kawasan yang paling popular di bandar tersebut. Dari sini, tetamu boleh menikmati semua kemudahan yang bandar ini tawarkan. Syurga untuk berehat dan bersantai, hotel ini akan menawarkan pembaharuan penuh hanya beberapa langkah dari pelbagai daya tarikan bandar seperti Oerestad, Field's Shopping Center, Copenhagen, 8Tallet. 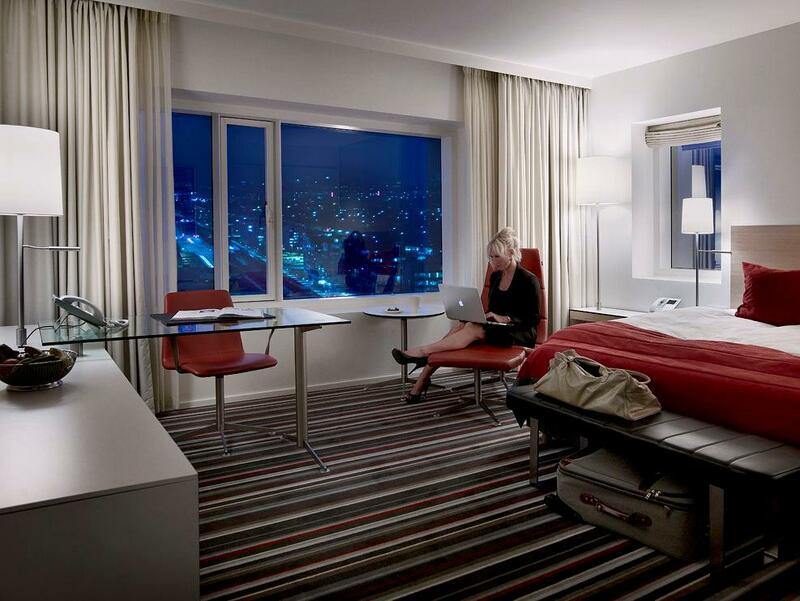 Crowne Plaza Copenhagen Towers juga menawarkan banyak kemudahan untuk memperkayakan penginapan anda di Copenhagen. Hotel ini menawarkan pelbagai kemudahan di lokasi untuk memuaskan hati tetamu termasuk yang arif. Semua penginapan bagi tetamu menawarkan kemudahan yang difikirkan dengan teliti bagi memastikan rasa selesa yang sukar ditandingi. Di samping itu, pihak hotel menawarkan aktiviti rekreasi untuk memastikan anda mempunyai perkara untuk dilakukan sepanjang penginapan anda. 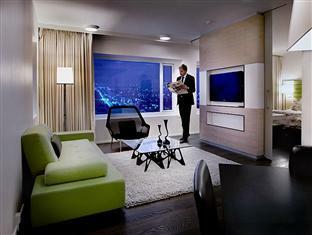 Dengan lokasi yang ideal dan kemudahan sepadan, Crowne Plaza Copenhagen Towers sangat memuaskan hati. There is a shuttle bus service available daily between 06:00 and 23:00. It can be ordered at the information desk in the airport arrival hall. Hotel is located very close to Orestad station, which has metros and trains, and is also close to a big shopping mall, Fields. Closer access if you go via side door at Copenhagen Towers. Area for improvement would be the housekeeping staff - we stayed for two nights; after our first night stay, I believe the housekeeping staff could have done a better job cleaning the room (could see crumbs on the table, incorrect number of towels placed in the bathroom, etc.) Staff were incredibly friendly and helpful. We stayed as a family of six. The hotel is about 15 minutes by taxi to the city center which might not be for everyone, but we enjoyed being out of the way. Really nice views, spotless rooms and we enjoyed the restaurant and indoor garden downstairs. Breakfast has a lot of choice. Sustainability oasis. Great location from cruise ship to airport. Very close to Metro and super convenient and reasonably priced shuttle to airport. Perfect room with super comfy beds. Kept our luggage for several nights while we traveled to France. Staff was INCREDIBLY kind and helpful. Would recommend this as the BEST place to stay in Copenhagen near the airport. The hotel was just about 10 minutes away by train and it offers complimentary airport transfer service. However, the staff was quite inattentive. Check-in and airport transfer booking service was fine but the staff did not go further. I did not see the lift from the front desk and they did not tell me until I asked. They even did not instruct me to use the room key to activate the access to my floor in the lift. I know someone may say I can see the card reader myself after I enter the lift. Surely I saw it after I had tried pressing the floor of my room several times but in vain. The staff also did not tell me where I should wait for the shuttle bus until I asked. I called room service several times but no one picked up. They called back after a while and instructed me to order directly from the TV. Actually I have tried to click on the item I wanted on the TV before calling them but I could not select the item. I still tried again because they said so but I gave up and called again and finally someone picked up the call after my several attempts. Ironically, this time they told me it was impossible to order online so I ordered through the phone. Food was sent to my room quite quickly and that staff was nice. Food was tasty. Apart from the staff, this hotel is a good hotel for just one night before or after the flight because it was not close to the city centre. excellent, the only exception was there were no bedroom slippers in the room. Near both the Metro n railway. Room is comfortable. Near the metro station, nice car parking facility, good location. The Coffee machine at breakfast is absolutely not ok, would like well made coffee at breakfast. new facilities, clean and fine. 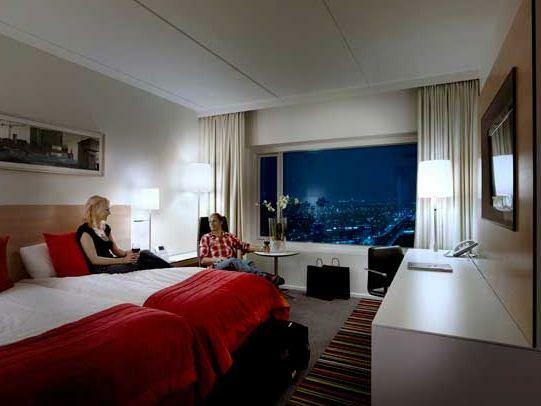 this hotel is very new and modern with stylish design. the room is very big probably more than 30 mm2, the floor is very soft with clean carpet, the bath is big too with a new bathtube. there's big car parking in the basement.It is close to the airport,and I saw many flight crew checked in. It is almost like a 5 star hotel,however the breakfast is not free, it costs 20 euro for each. Free shuttle service. Early check in. Near it metro and train station. Very good and comfortable bed. Value convenient as airport shuttle is provided. Walking distance to metro and train stations.